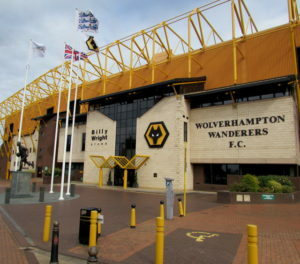 Free parking is available at Molineux Stadium. When arriving at The Billy Wright Stand, parking is available to the right of the stand. If you have parked, please ensure you let reception know so that they can provide you with a permit or note your registration details. Disabled Parking is available at the stadium – please inform reception if you have parked at the stadium, so that they can provide you with a free permit.